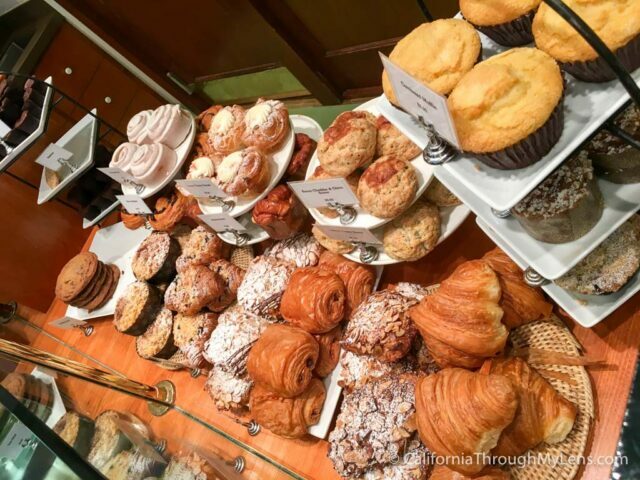 There is a good chance you have heard of or been to this famous bakery in Yountville, which is the brainchild of Chef Thomas Keller. While is used to just be in Yountville, they have even expanded to locations in Beverly Hills, Las Vegas and New York now. It is one of those spots that is always busy with a line out the door pretty much whenever you go. I have tried a lot of sweets here though and can easily say it is worth the wait. 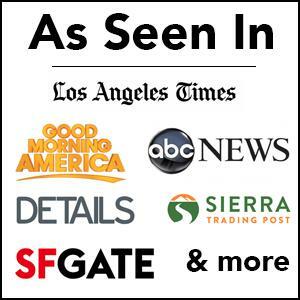 Here is all the information so you can check it out for yourself. 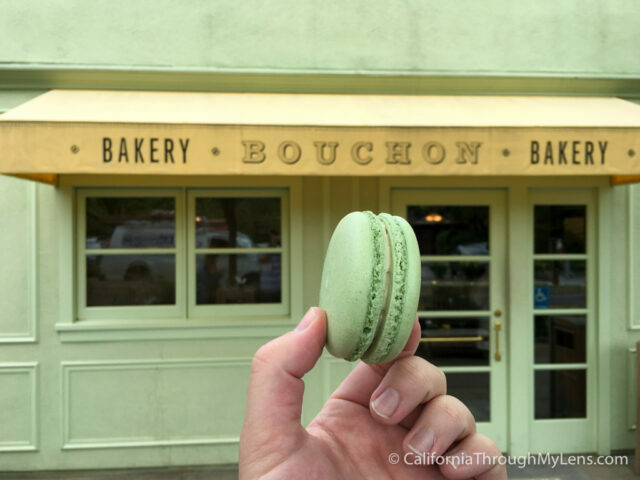 Bouchon Bakery is located next to the restaurant of the same name in downtown Yountville. 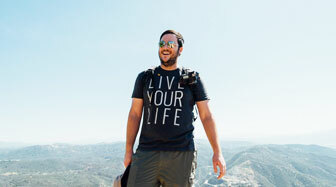 You can read about my time at the restaurant here as it is a fantastic spot to eat at. There is a parking lot across the street right next to the V Marketplace, which you can park at for the bakery. The bakery is in a quaint building with a pastel colored exterior. You will most likely be waiting in line to go in and when you get in it can be overwhelming to figure out what to order when it is your turn. I would recommend having a little bit of an idea of what you want before you get there as it will make it less stressful for you. 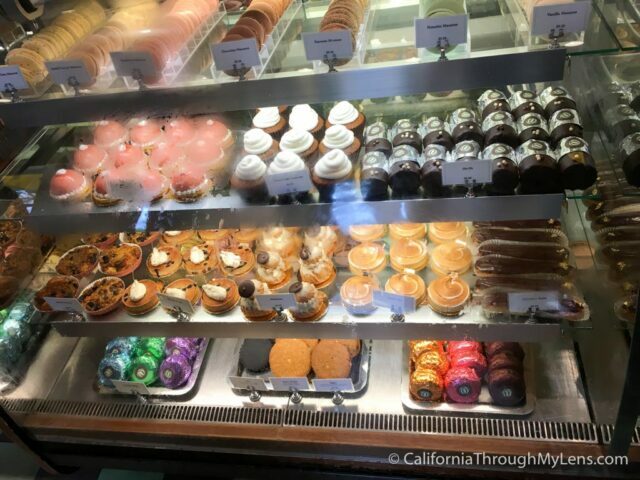 The interior is tiny, but it houses an incredible amount of breads, pastries, and desserts. The main case is what holds the famous macaroons though which are a very popular item here that often sells out. I visited twice and ordered a bunch of different things while I was staying in the area. Here is what I tried. 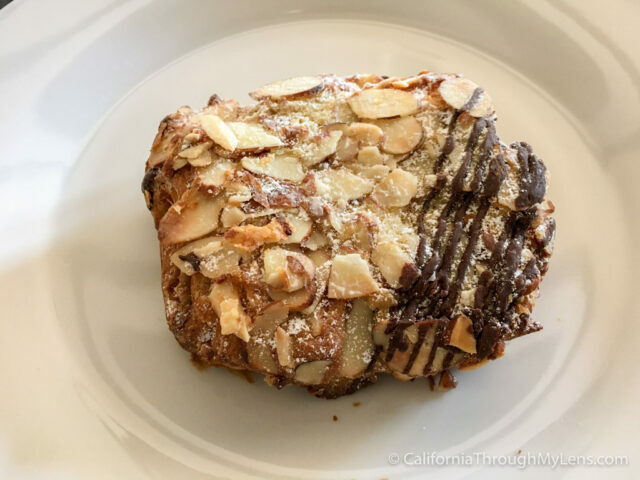 Chocolate, Almond Croissant – Buttery and creamy croissant with ample almond slivers on top and a light drizzle of chocolate for taste. 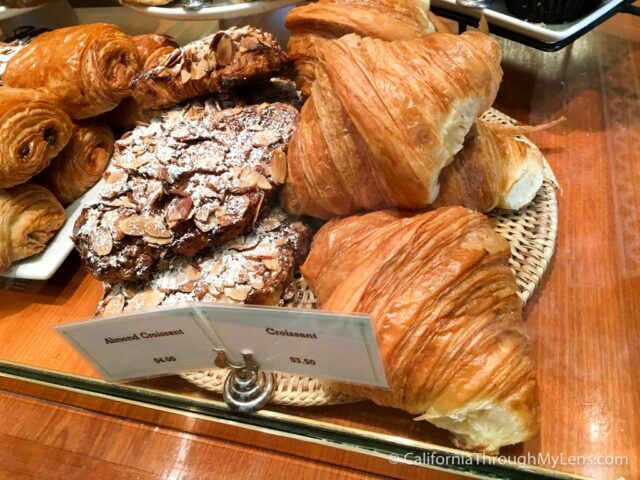 The interior was a rich chocolate filling and it is a great addition to the croissant. Macaroons – My wife tried at least three of these while we were here, salted caramel, raspberry, and pistachio. Pistachio was her favorite, but honestly, I think she would have no problem eating any of them. They are also pretty big, which I wasn’t expecting. They sell chocolate covered macaroons as well, because why wouldn’t they? 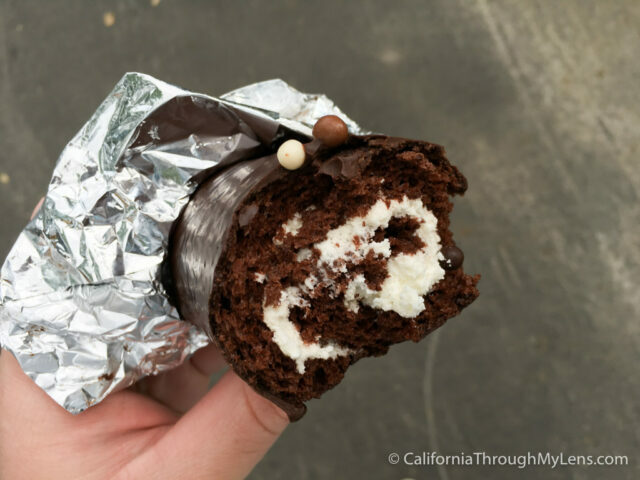 I had a caramel one, and it was magical with the smooth chocolate wrapped around it. 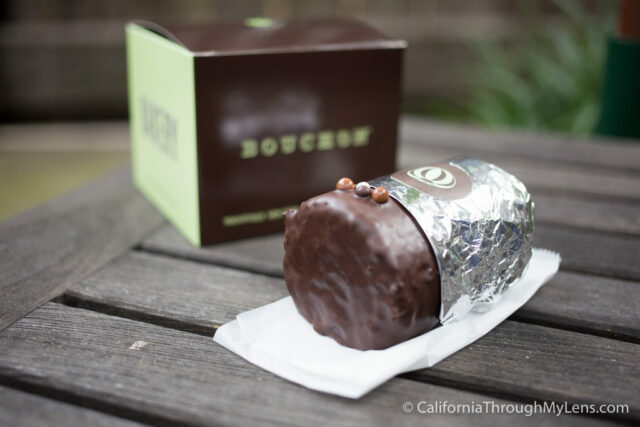 Bread – I had their bread at Bouchon when I ate there and as the bread for my sandwich at Yountville Deli. Both of them were great, so if you are looking for something not sweet, then this is a good option. Oh Ohs – This was my favorite item I had here. 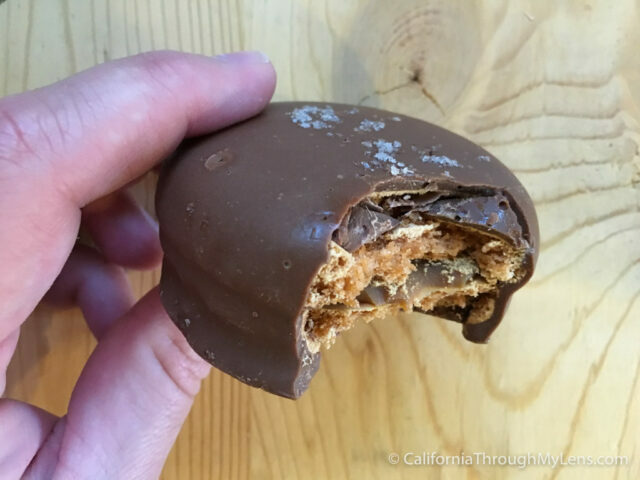 The Oh Oh’s are like a high-class Little Debbie’s Swiss Roll. I loved those growing up so when I bit into this one I was very excited. I highly recommend it if you are on the fence about what to get and like a good rich chocolate. Brownies – The brownies look like mini muffins, but they have the consistency that you expect from a brownie and fabulous flavor. The brownies are an excellent item to bring home for friends as they come in a small bag that makes it a natural gift. The bakery also sells sandwiches and other items for lunch. There are a half dozen outdoor tables next to it as well if you want to grab something and sit there to eat it. 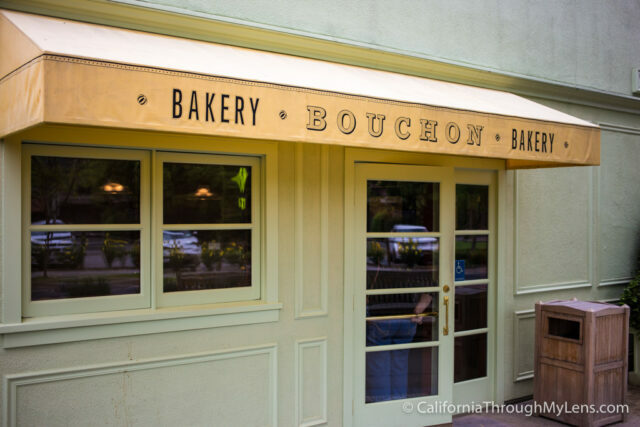 The Bouchon Bakery was just as good as I expected it to be, I even went back multiple times while in Yountville. It’s hard to think that anyone would be let down with the options they have here, so make sure to check it out when you are in Napa Valley. Also, head over to Model Bakery in St Helena and grab an English Muffin as well. Let me know what your favorite item is in the comments.